We make it easy to outsource your customer care support to Xturion. All customer care programs are unique so we hire and train only dedicated agents based on your business requirements. Our services include multi-channel support utilizing inbound, outbound and online technologies to communicate to your customers where ever and whenever they want. Our offshore operations and strategic alliances allow us to provide support for small, midsize and large scale campaigns, so no client is too small or too large! In addition our U.S. management team has extensive experience managing customer service and telemarketing campaigns. Best of all, you have the option of outsourcing 100% of your support needs or a specific amount based on call volume or specific hours. We offer a variety of customer care support services, all designed to meet and exceed your customer's expectations. Customer Satisfaction is our priority. We understand that every call and caller is unique. Our methodology incorporates the valuable skills of listening and understanding your customers needs while bringing resolution and customer satisfaction. It takes seasoned sales professionals to achieve consistent sales results. We place great emphasis on our recruitment, hiring, and training practices to ensure you have the best agents generating new sales as well as up-selling and cross selling. Our help desk capabilities include a wide range of knowledge and support. We have experience in areas such as accounting help desks across payables and receivables management and Tech help desks handling frequently asked questions, simple changes, updates, benefit updates or complex troubleshooting. Whether you require agents for end user questions or engineers for advanced technical support, we can provide the specialized services to ensure customer satisfaction. Using email management allows you to efficiently manage inbound email traffic and web form queries while improving customer satisfaction and increasing agent productivity. The email management solution funnels all messages through an automated process that evaluates the business requirement and triggers a related action—such as generating an auto-response, routing to an agent queue, deleting spam or escalating to another channel—for each message. Using online chat support can strengthen customer loyalty and increase satisfaction levels while improving agent productivity and lowering service costs. Providing live online support allows your customers to connect with service representatives, send and receive instant answers to their inquiries while they are browsing your website. Our back office services are designed to proactively manage customer requests. We have experience in areas such as Activations, Order Processing and Fulfillment, Document management Services, Deactivation Management, and Account Administration. The outsourced contact center network operations currently handles over 10 million transactions per month. We provide service delivery utilizing world class contact centers located across India in cities such as Pune, Hyderabad, and Mohali. Xturion also provides call center support utilizing domestic centers located in Florida and Ohio. Our outsourced delivery model is designed to deliver the benefits of business process outsourcing along with domestically managed solutions. Blue Pumpkin Workforce Management Suite - Version 4.5 (now Witness) available for Workforce Management. At Xturion, we constantly strive to achieve the highest possible standards in order to deliver excellent service and support for our clients. Our focus is on the total process quality and continuous improvement. The contact center operations have been certified with the following international standards. This is an international standard, recognized throughout the world for establishing a business management system. It ensures the best quality, improves efficiency, and reduces costs, which will benefit all our clients. Six Sigma is a disciplined, data driven approach and methodology for eliminating defects. The focus is always on constant improvement to achieve perfection. This ensures the best business processes and most qualified agents. The contact center technology platform is designed with the business objective of enhancing the customer experience and has been the foundation for enabling our agents to provide quality service and support. The technology incorporates partners and suppliers such as Avaya across all locations in India along with CMS (Call Management System) servers to ensure excellent voice quality, both in traditional TDM switching as well as in IP telephony. 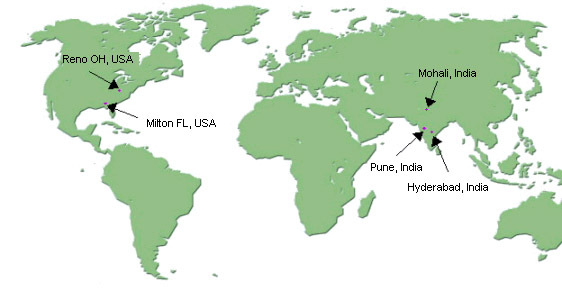 We adopt skill based routing when it comes to multi language calls, types of customers etc. Quality is achieved through best in the industry QMS solutions like Verint & NICE that enable us to do selective or 100% call recording. Our goal is to deliver the following critical deliverables to meet the business objectives. This includes business applications like CRM, core banking applications which are specific to every industry vertical. We integrate our solutions to our client's platform in a seamless way. 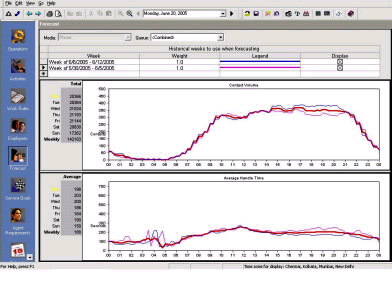 This also consists of applications which are used to monitor quality and performance management. Xturion is committed to protect the Confidentiality, Integrity, and Availability of company and customer information. We adhere to the highest security standards and our Information Security Management System (ISMS) is ISO 27001 certified. Our Operational & Technical security controls are selected through a meticulous risk assessment process. We support world class firewall & IDS/IPS solutions and our risk assessment process is ongoing to ensure the existing risks are continually reviewed & new risks are thoroughly analyzed and addressed. Additionally we have in place various Operational Controls such as Personnel & Physical Security, Incident & Change Management and Legal & Technical Compliance. Our secure work environment has the following areas of emphasis. At Xturion, in order to avoid any unanticipated service disruptions we have in place a Business Continuity and Disaster Recovery plan. We provide seamless operation of multiple processes across various contact centers. The objective of this plan is to ensure that our clients get uninterrupted service even in the most adverse & unpredicted situations. 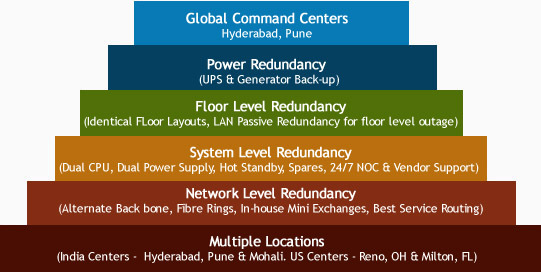 We have multiple levels of site redundancy & resilience built into our existing setup across our contact centers. Business Continuity Planning and Disaster Recovery Planning provides redundancy at the systems and infrastructure level.